In this issue: the walking dead, some silent-but-deadly ninjas, and the man who sold the moon—plus prepare for the Zombie Apocalypse with our September contest. Zombies are real. And we made them. Are you prepared for the zombie apocalypse? The Smith family is, with the help of a few Marines. The plan is to find a safe haven from the anarchy of infected humanity. But what they soon discover is that the only way to save humanity is to fight back from the brink of apocalypse. A young ninja in a fantastic land of dreams and nightmares must face an army of zombies to save a beautiful sorceress. In the fog-enshrouded peaks of Nehon, Ran, a newly-minted shadow warrior is faced with the ultimate warrior's choice: save himself, or face down a horde of enemies that cannot be killed for the simple reason that they are already dead! Book one in the Shadow Warrior series. Here’s the latest in our popular series of teacher’s guides for Baen books that might be appropriate for high school or college classroom reading. These includes synopses, discussion questions, quizzes, and more for Robert A. Heinlein’s The Man Who Sold the Moon & Orphans of the Sky. 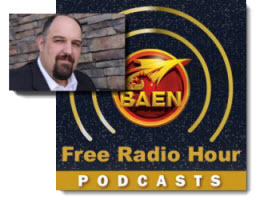 Check out our weekly podcast with your favorite Baen authors and our continuing (absolutely free) serialization of Honor Harrington series audiobook Shadow of Freedom. Coming up: an interview with Lois McMaster Bujold. 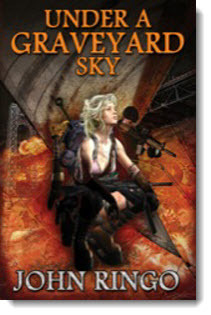 To celebrate the release of John Ringo’s Under a Graveyard Sky we want you to save the world from a Zombie Apocalypse. Send us your top ten prepper items for the coming zombie plague. The winning entry will receive a hardcover first edition of Under a Graveyard Sky signed by John Ringo, plus five free ebooks. A young ninja in a fantastic land of dreams and nightmares must face an army of zombies to save a beautiful sorceress. In the fog-enshrouded peaks of Nehon, Ran, a newly-minted shadow warrior is faced with the ultimate warrior's choice: save himself, or face down a horde of enemies that cannot be killed for the simple reason that they are already dead! Book One in a new series. 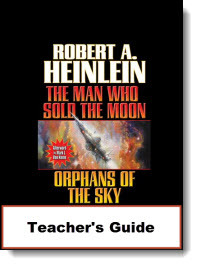 Two classic Robert A. Heinlein novels in one volume: The Man Who Sold the Moon and Orphans of the Sky. Two journeys into space, one taking humans to space by hook or by crook, the other the classic first-time tale of a generation vessel with passengers who do not realize they are in a spaceship. All-new afterword by Mark L. Van Name. When Captain Ivan Vorpatril, cousin to Imperial troubleshooter Miles Vorkosigan, encounters a damsel fleeing the violent overthrow of her home planet, it’s soon evident that Ivan’s carefree days are over. But behind Ivan’s façade of wry humor lies a cunning protector willing to make the ultimate sacrifice: his hard-won freedom from the politics of empire. Nominated for a Hugo Award. Star pilot Theo Waitley must take on the precarious captaincy of a mysterious self-aware ship and save hundreds of stranded pilots and crewmen from a hostile planet. 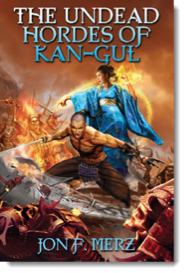 Don't forget to check out the latest Ebook releases here, plus Baen.com free fiction from The Undead Hordes of Kan-Gul author Jon F. Merz here. Also, don’t miss the monthly free nonfiction, an article by a neuroscientist on the possible scientific justification for zombies here.